Look what's blooming! Right after the first big snow of the season there is a bit of exciting and exotic color right among the usual greenery. 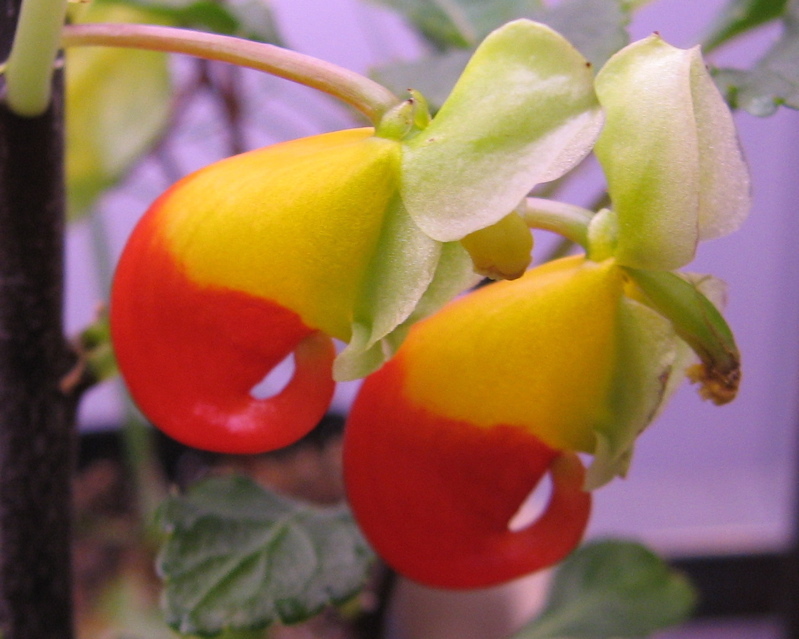 This is an Impatiens niamniamensis, commonly known as a Congo Cockatoo. It's a very young plant but it looks like it will be easy to keep in bloom. Remember to try out some new and different plants to keep things interesting! If there is always a surprise waiting in the plant room, more time will be spent tending and enjoying the plants. Many plant families do as well under fluorescents as the violets do.